Dungeon RPG sequel launches November 29 in Japan. 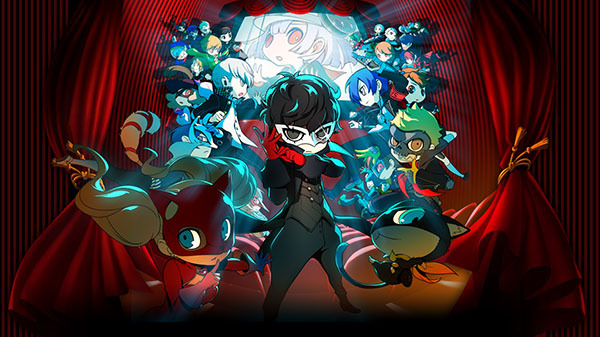 Atlus has released the debut trailer, details, and screenshots for 3DS dungeon RPG sequel Persona Q2: New Cinema Labyrinth. In Mementos, the Morgana Car suddenly goes out of control!? Sucked into a mysterious space, the Phantom Thieves arrived at a mysterious town where unknown enemies wander about. Barely managing to escape, the Phantom Thieves ended up lost in a movie theater without an exit. And then Nagi, a black-haired, white-clothed woman they met at the movie theater, and Hikari, a downcast-looking girl, informs them that they just came out of a movie. Labyrinth-like movie worlds. And in those movies, as if something was guiding them, they encounter those who possess the same powers. Inside Each Movie is a Mysterious Labyrinth! Each dungeon is a movie (labyrinth) with a different theme, and each one is a unique creation. No dungeon is straightforward. Work with your team to clear each one! Hit the Enemy’s Weak Point to Gain the Upper Hand in Battle! Switch out Personas! Utilize various tactics! Draw Maps While Going through the Dungeon! By drawing maps, you can clear each dungeon smoothly! There is also an auto-map feature. Deepen the Bonds with Your Comrades to Take on Strong Enemies! Powerful Shadows called F.O.E. wander around the dungeons.